These Thai chicken skewers are better than takeaway or restaurant style chicken satay. They take less than 15 minutes to make and use ingredients you probably already have in the pantry. 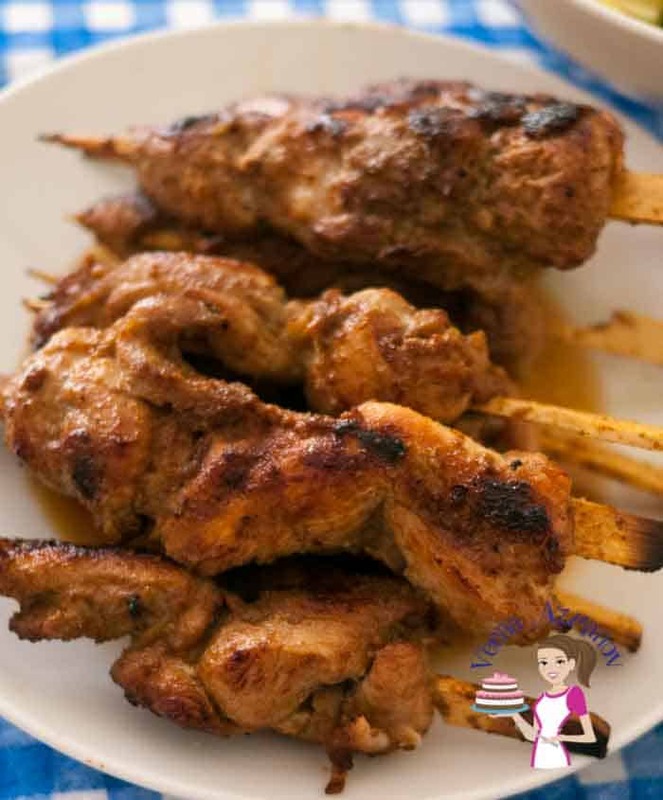 Here’s a video showing just how simple, easy and effortless it can be to make these Thai style chicken skewers at home. You can serve these over rice or a bowl of noodle. Use leftovers in a wrap with your favorite salad. If there is one thing we love in our family is skewers!! Who doesn’t love chicken on a stick, right? 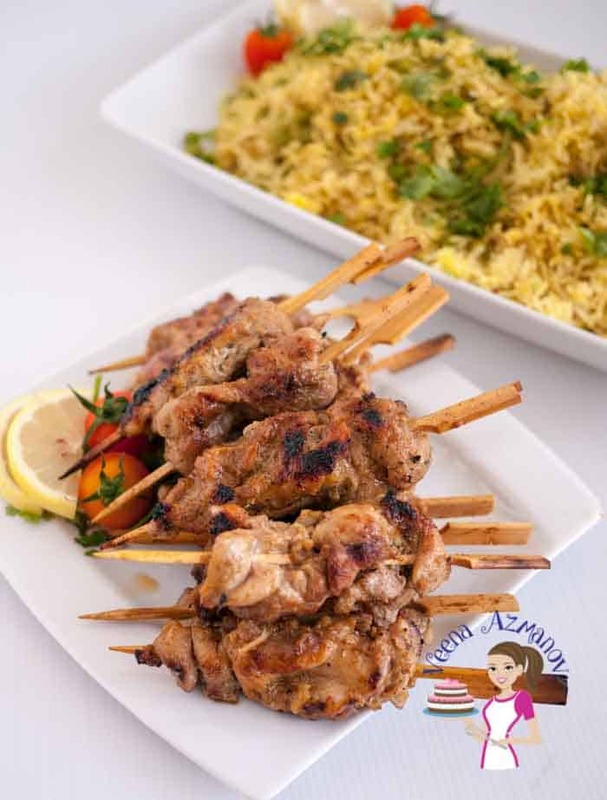 Grilling meat on a skewer in summer here is very common and very middle eastern. We have restaurants in Israel that specialize in just skewers because it’s so popular. 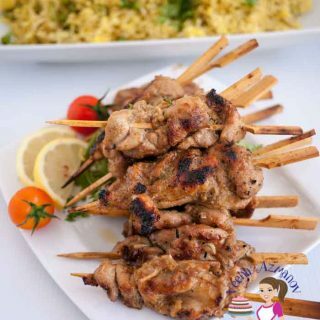 When Aadi was small if he wanted skewers he’d say mama make lollipop chicken. 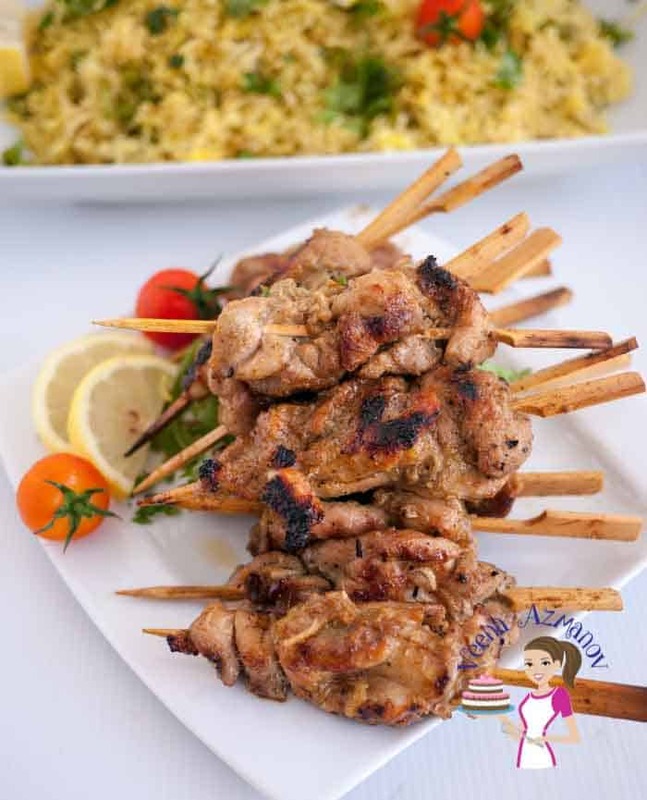 He still loves skewers and his absolute favorite is Indian chicken tikka, chicken malai kebabs and Rhea’s absolute favorite is Teriyaki Chicken. 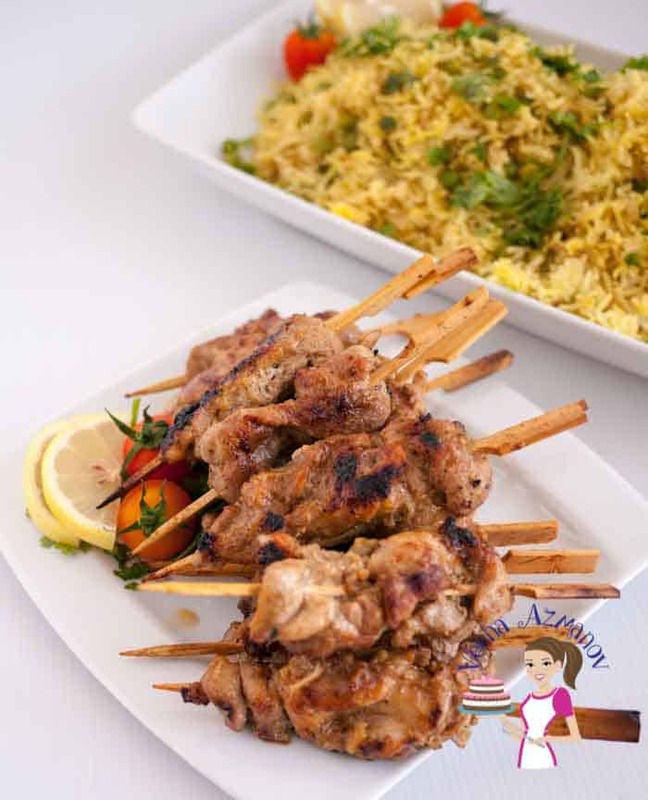 Ziv’s absolute favorite is Morrocon chicken skewers and Satay Chicken. But in general, as long as we have meat on a stick we are happy people. So, I have to ask. If you had the option to order takeaway vs make at home, what would you prefer? Is it weird that I always opt to make at home? Ziv sometimes will offer to order take away so I can stay out of the kitchen but I’m not a big fan of takeaway. I have this weird fear of not knowing where the food is coming from. I’d rather have a quick omelet rather than order takeaway. I even have a 6 ingredient chicken curry with rice. Well, I’m Indian so often I have cravings for Indian food. Don’t these look yummy? Who wouldn’t want a dinner like this especially if you can make it in 15 minutes or less? I mean the only thing you want to make sure is that you have chicken in the fridge and Thai curry paste in the pantry. The list of ingredients is not complicated nor is the process. I mean what is easier than combine ingredients in a bowl with chicken, then skewer and grill? You can marinate the chicken ahead of time if you want but the Thai curry paste is so packed with flavors that it works a treat even when you are doing this last minute combine and grill. These go well with rice or sometimes a bowl of egg noodles. Our kids love some rice with it so most often we make rice to serve as a meal at home. Rice usually will get done in 15 minutes and Noodles usually cook in less than 5 minutes. I like to saute the noodle with some garlic, ginger slice and cilantro to give a bit extra umm. That’s it! You can actually have a meal at home is 15 minutes or less. The best part? The leftovers work great in sandwiches and wraps which my kids love for school lunch box. Often the reason I make extra so we have leftovers. I usually have flour tortilla / Indian chapati in the freezer for kids snacks. 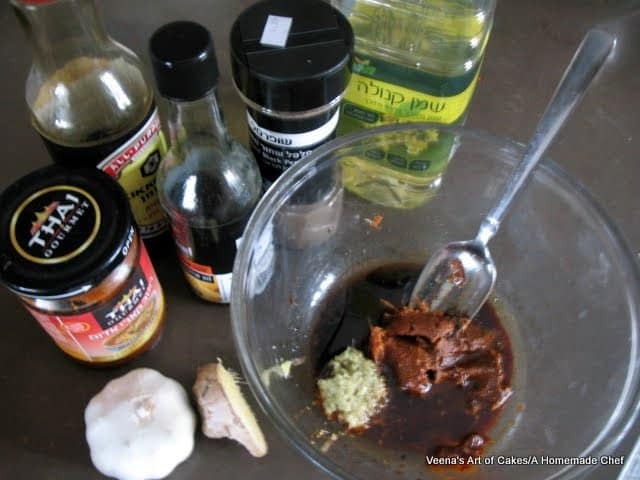 Thai curry paste –This is the thing that makes it possible to get the Thai flavor instantly and effortlessly. In the video, I am using green curry paste but I often use red curry paste too. The difference is a little flavor variation and color, but a great way to make the same dish differently every time. Sesame Oil – add a nice smoky and Asian flavor but can omit it. Sesame oil has a long shelf life so if you do venture into Asian cooking sesame oil is a good flavor to have at home. Soy sauce – I like to use the light low sodium soya sauce but if you use the regular which has salt added you may want to reduce the quantity of salt in the dish. Brown sugar – adds flavor and color. If you don’t have brown sugar – just use regular white sugar. Not a big deal. The brown does at that little extra though. Ginger/garlic – These are a must when you cook meat dishes. If you don’t have fresh go ahead and add a 1tsp each of powdered garlic and ginger. Though with Asian cooking it’s all about fresh ingredients. Here you see. I am using red curry paste while in the video I’m using green. They both work fabulously. Wash, pat dry and cut the chicken into long strips so you can skewer them. Put chicken pieces into the marinade in a bowl. Add all the marinade ingredients to the chicken – mix well. Place skewers on a hot grill. Cook about 3 to 4 minutes on each side or until cooked and blistered on all sides. These Thai chicken skewers are better than takeaway or restaurant style chicken satay. They take less than 15 minutes to make and use ingredients you probably already have in the pantry. 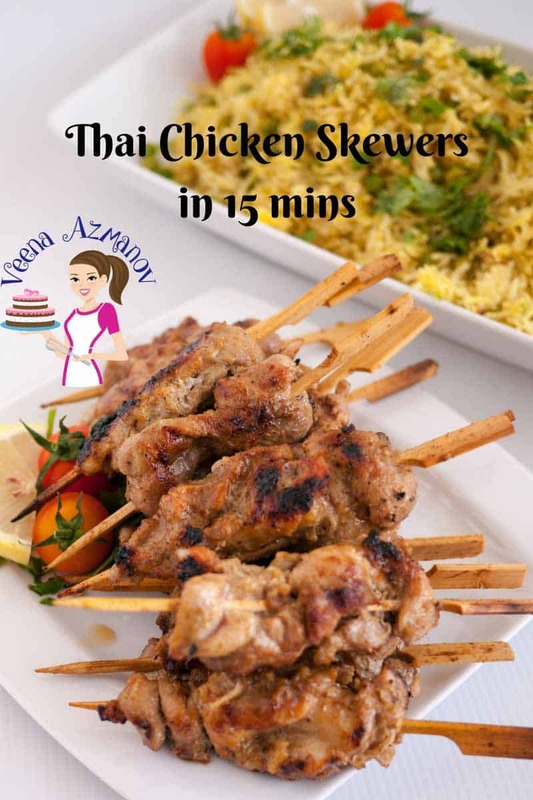 Here's a video showing just how simple, easy and effortless it can be to make these Thai style chicken skewers at home. You can serve these over rice or a bowl of noodle. Use leftovers in a wrap with your favorite salad. Add all the marinade ingredients to the chicken - mix well. Looking for inspiration for your next dinner party ideas? 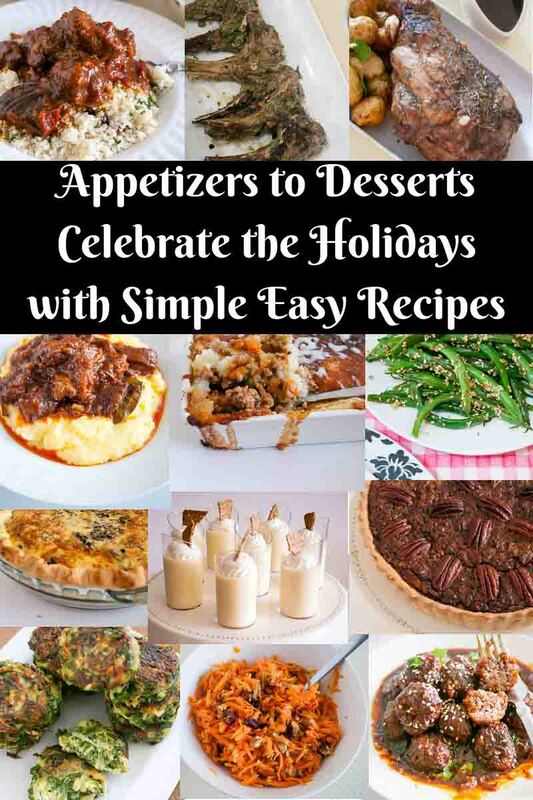 Thanksgiving, Christmas or Easter Dinner ideas. I think you will love my collection of recipes to entertain. Can I leave the chicken in the marinade overnight? Yes, you can, Lydia. The marinade will flavor the meat well. Our whole family loves Thai food! We like the spice and the herbs that’s used. And, frankly, I’m with you when it comes to take out. We love cooking so it isn’t a chore for us to spend time in the kitchen. We know exactly what we put in the food. Now, you’ve got little ones at home plus a cake business — that takes a lot of time. The chicken skewers are so cute I bet they make fantastic appetizers. Thank you, Marisa. These definitely are one of my go-to on busy cake days. We love skewers in our home. We have been BBQ like crazy people this summer! In fact we have another BBQ set for this weekend, which is a long weekend here. This might just make it to our menu! Looks delicious and super easy to make. A definite crowd-pleaser. Thanks, Jolina. You must try these, you will love them. Those look fantastic! I ran out of curry paste and haven’t restocked, but I think you just convinced me! Thanks, Michelle. let me know if you try these. Thai food is so delicious. These skewers would be perfect for a BBQ party this summer. Sure to be a crowd pleaser. Add a few sides and dig in. Love the fact you can make them on an indoor grill too. Absolutely, Gloria. perfect BBQ food for sure.. Add a Thai salad and some tropical cocktails to make it even more summery. My hubby and I love Thai flavors…..this looks great and I can’t wait to make it this weekend if we can. I never thought to add more spices to the curry pastes we buy. Great idea! Me too Denise. We love Thai food in our house. I hope you try this soon. This sounds and looks so amazing! And I love how fast it is! I like the sound of 15 minutes! Amen to that..!! Thanks Tina..
No one can argue with 15 minutes! Great flavours in the recipe and pretty wonderful that it can be ready to eat in no time! Thai is my favorite cuisine. This recipe sounds amazing. Bookmarked! The flavors in this sound so delicious. Definitely going to make it this week — we’ve been eating too rich lately and this is just the thing we need to moderate. Just wanted to say I made this for dinner tonight and it was fantastic! I served it with plain jasmine rice and a dollop of ginger-carrot dressing! We also had a Japanese style salad with the ginger-carrot dressing…..truly delicious! Thank you so much Mellissa.. So glad you here you tried it. Thank you so much for commenting. The Japanese Salad sounds wonderful. I love ginger carrot dressing.